Posted on April 4, 2012 by Eric Bonnici wrote in Burgers, East Windsor Restaurants, Fish and Chips, Greek, Lebanese, Middle Eastern, Pizza and Pizzerias, Subs and Sandwiches. It has 0 Comment. 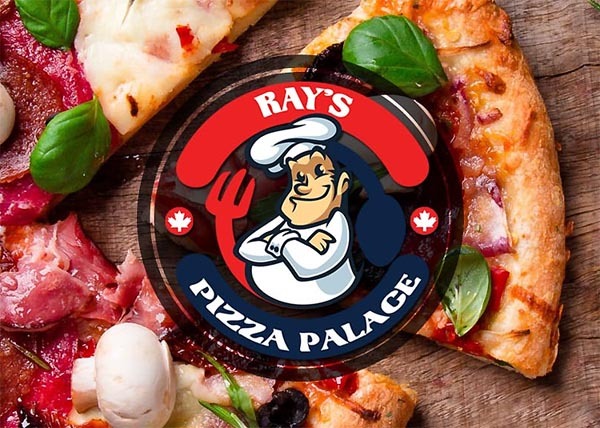 Ray’s Pizza Palace is passionate about homemade pizza and dishes made with only the best, ethically sourced, highest quality homemade ingredients. Ray takes pride in warm, friendly service, and an inviting comfortable setting where customers enjoy the eateries fine dishes with family and friends. Made from Ray’s original family recipes, all his food is made with all-natural ingredients and do not contain preservatives. The restaurant’s dough is buttery, flaky, and always just the perfect thickness. Their sauce is made from the ripest tomatoes in Modesto, California. Within two hours of harvest, they’re peeled, pasteurized and mixed with Ray’s unique spice blend. Mozzarella cheese is shredded daily to maximize freshness and never produced with fillers or dry powder milk. Ray’s all-natural homemade Italian sausage is prepared daily and spiced with his unique old-world family recipe. Pepperoni, beef and chicken are all natural, untouched by nitrates and fillers. Pizza is not the only thing on the menu. The restaurant features a wide selection of food including gyros, shawarmas, specialty oven baked sandwiches, chicken wings, fish and chips, poutine, burgers, salads, and more. Dine in, take out, or have your meal delivered city wide. Ray is the founder and former owner of Pizza Plus 2 and continues his home cooked tradition at Ray’s Pizza Palace established in 2013.